Alternative metrics or tailored metrics: Science dynamics for science policy. Science and technology indicators have a long tradition. They cover traditional input (human capital and expenditures) with output statistics (publications, patents, citations). Knowledge production of Mode 2, globalized team science and the use of new ICT technologies have added to the traditional set of macro-level indicators. 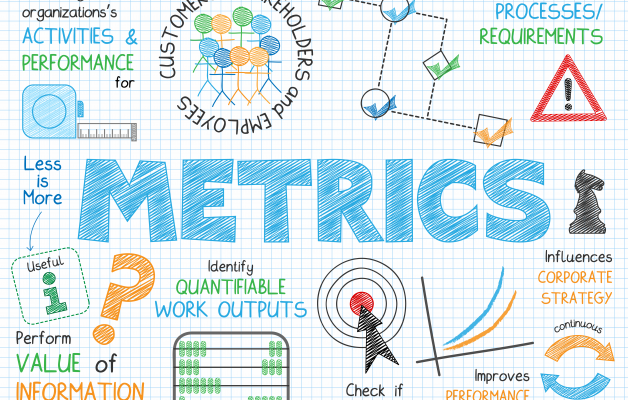 Bibliometrics offers tailored toolsets, and altmetrics offers indicators on the fly. We have more metrics than ever, more metrics than probably data can be collected for, or so it seems. This workshop brings together specialists in STI, science and technology scholars, bibliometricians and altmetrics specialists and researchers with extensive research management experience to reflect about current metrical practices. This workshop will address questions such as: How much metrics do we need and how much metrics can we afford? 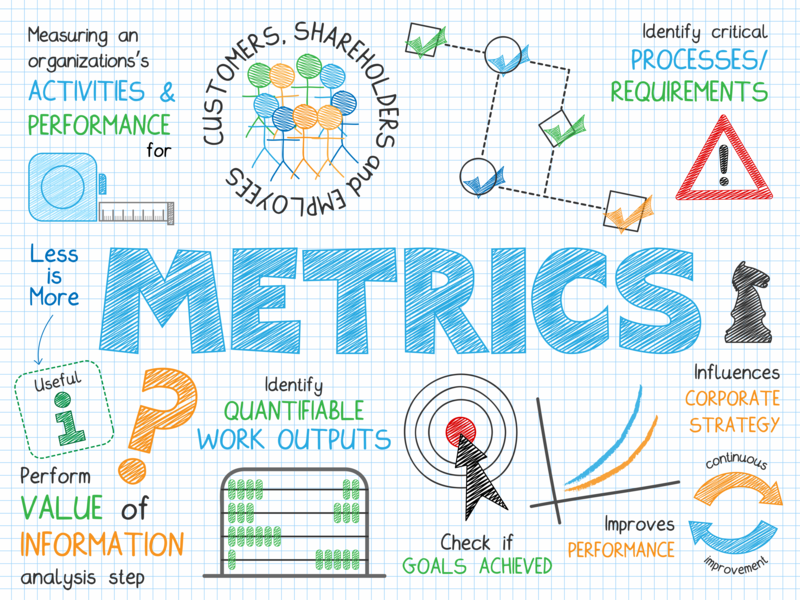 Do we have the right metrics? How can data bases with STI relevant information made interoperable? What is the role for Linked (Open) Data information gathering and management? What new metrics do we need to develop to capture new institutional forms in science? How can visualisations and infographics help to map and measure science? What motivates the research strategies of nations and institutions? We suggest that research primarily serves two masters – altruism and economic growth. Some nations focus more research in altruistic fields while others focus more research in fields associated with economic growth. What causes this difference? Are there national characteristics that would suggest why they are more aligned with altruism or economic growth? To answer this question, we have identified nine grand challenges in research by analyzing the publication activity of 4429 institutions using Scopus data. Three grand challenges are more altruistic (there is little involvement by industry) and three grand challenges are clearly aligned with economic growth. The altruistic vs. economic nature of nations based on their publication profiles across these grand challenges is correlated with national indicators on wealth, education, capitalism, individualism, power, religion, and language. Previous research has suggested that national research strategy is aligned with national wealth. However, our analysis shows that national wealth is not correlated with the tradeoff between altruism and economic growth. Instead, the tradeoff is largely captured by a culture of individualism. Abstract: In this paper, I will argue that most metrics developments are data driven – which also holds for alternative metrics. I will also argue, using several examples, that some theory about how the research system works, may be helpful to develop meaningful indicators. Abstract: This paper would look at the ICSU World Data System (WDS), its history and its data policy. In the WDS there is a growing need for data publication to be recognised more clearly. This implies in part some metrics for recognising data publication and more widely for scientists to participate actively in the development of high quality data. This will become a greater concern as more and more open data become available. So this paper would be a discussion of the challenges facing scientists as Big Data become more prominent in science rather than an examination of alternative metrics. Abstract: The practice of Citation Analysis has been an important and useful tool for research evaluation. Through citations, a new world of creativity and exploration can be opened. This way, a paper that has been cited many times, can become known to the scientific community. Is this, however, a reliable way to measure a paper’s quality, within the chaos of the information available on the Internet? Admittedly, they help us in the bibliography selection, but the information they provide is, sometimes, not sufficient for today’s research needs. We have to take into consideration that, with the current citation practices, it is impossible to describe the reason that this particular document has been used. Although citation analysis is widely used and plays an important role in scientific and academic publishing, it still has room for improvement. The current protocols do not provide adequate support for linking data and metadata. The Semantic Web technologies can contribute to this in a number of manners, since they provide robust methods to describe, manage and use information. Linked data, in particular, offer a flexible way to represent citation data and make interoperability between different applications possible. In the poster, we will present the idea of converting citation data to RDF triples, in order to allow for semantic linkage between publications. By doing this, it will be possible to perform complex searches and provide more advanced metrics. Abstract. Recently, the growing interest about the scholarly publications and their impact has led to the conception of the term alternative metrics, in other words altmetrics, due to the interaction with technology and the Social Web.This relatively new kind of assessment of researchers’ output is here to overcome any potential problems that have arisen and support existing citation impact metrics. The dissemination of such publications is evaluated through different levels, measuring, for instance, the impact of how many times an article is viewed, saved, discussed, recommended and cited in electronic form. Nevertheless, another feature of the altmetrics is the ability to compute the importance of the source, more specific the authoritativeness of the authors. Also, for the better depiction of the impact in social media, altmetrics use visual representation for the mentions by source type. As always, the academic libraries are the primary repositories of existing knowledge for the scholars. At the same time observed that the scientific research has flooded the social media. And the challenge that arises is if it possible a useful tool, like altmetrics, could be used in the libraries in order to understand the impact of scholarly activities. Like any new tool, there are advantages and disadvantages to using altmetrics. On the one hand altmetrics provide scholarly output from multiple sources of data. On the other hand the tool fail to serve social sciences and humanities as well as medicine and natural sciences. All things considered, the new inquiries that the era of altmetrics brings upon have to be answered in order to be able to inform ourselves correctly and reliably about the impact of such important published information. Abstract. This paper presents the first results of our Short Term Scientific Mission to The Netherlands, from 9th to 17th of July funded by the COST Action TD1210 KNOWeSCAPE. The research aimed to study metrics and evidence suitable for institutions which operate in areas of high interdisciplinarity at Data Archiving and Networking Services (DANS). Specifically, the main objective of this study was to categorise and analyse the data of six reports published by different scientific organisations, all collaborators of DANS in The Netherlands, Switzerland and Germany. The methodology comprised desktop research, brainstorming sessions with the team members at DANS and the supervisors of the study both in The Netherlands and Greece, observation and empirical analysis using the classification scheme UDC. The scientific and business reports of six organisations which take action in the same interdisciplinary environment categorised by time, place, institutional type and the type of each report (business or scientific). The collection and the categorisation of the reports’ elements based on UDC scheme leads us to make interesting observations. One of them is that the production of scientific knowledge and the study of internal information, such as reports, can interconnect the academic institutions with industries to create more efficient products which will be certificated. Thus, the research acquires a practical scope and the industries obtain a strong ally and useful scientific tools for their healthy development. Abstract: Using two extensive university ranking lists (ARWU and QS) as well as data from Science Citation Index we infer that the number of publications in specific scientific categories strongly correlate with the university rank. At the same time, through principal component analysis, we find evidence of separation of data with respect to scientific disciplines. Detailed complex network analyses indicate that scientific collaboration is linked to the geographical region and that the number of common papers decays with the physical distance between universities, while the strength of the ties between universities is proportional to product of their total number of publications. We believe that these finding shine a new light on the relevance and interpretation of University ranking. Abstract: “How should I present my results in order to attract more attention and citations to my paper?” is a question that bothers many scientists. No wonder, scientists are increasingly evaluated by citation counts and recent studies suggest that simple stylistic choices can affect it (e.g., “the shorter the title the more citations”). Is it really that simple? Well, apparently not. In my talk I will show how textual properties of scientific papers relate to the number of citations they receive . The main finding is that correlations are not linear and thus affect differently the most cited and typical papers. According to our research the short title recipe works only for the most cited papers, surprisingly for less popular ones it is even better to have a longer title. Quantile regression analysis of six different factors, calculated both at the title and abstract level of 4.3 million papers in over 1500 journals, reveals the number of authors, and the length and complexity of the abstract, as having the strongest influence on the number of citations. Abstract: If the generation of knowledge and know-how is complex, takes time and is embodied and embedded in institutions’ staff and organisation, how easily can higher education institutions boost their capabilities? With the help of data from the UK’s 2014 Research Excellence Framework (REF), we explore the scope for applying Hidalgo’s method of reflections when assessing institutions’ complexity of knowledge production. This method attempts to evaluate both the complexity of products output and the complexity of the producing institution. We invite comments on the transferability of Hidalgo’s concepts and methods from economics to research assessments. We then trace some of the authors of publications submitted for the REF. This has the potential to cast doubt on the extent to which REF data reflect the knowledge generating capabilities of the institutions. Some institutions may be importing innovation from elsewhere rather than generating it, and may also be struggling to retain their imported staff. This has implications for the use of REF results as a basis for funding research, as well as for Hidalgo-inspired estimation of knowledge complexity. Abstract: The UK Research Assessment Exercise: reports from on the ground. This would look at the history of the UK Research Assessment Exercise and how it changed from its origin in 1984 as a way of praising research to a way of allocating funding to UK universities. It changed dramatically along the way and it has had a significant effect on the behaviour of researchers. This paper relates to metrics in that it describes how assessment and metrics can change research behaviour. The paper would be more of a presentation of ideas than a paper proposing action. Abstract: Agent Based Models (ABMs) can extend and complement other modern tools (such as visualizations and Big Data analyses) in improving the understanding of the relative importance of various factors driving the dynamics of science. Their ultimate goal is operational modeling of the effectiveness of various aspects of policies and practices related to research. We present a simple ABM of scientific work as a social process, taking into account the effects of the availability of funding, personal interests and competencies, discoveries, fashions and lobbying. The original model is based on an abstract, simplified view of research domains classification, but it is currently being expanded to include, at least partially, the real world data linking research topics, their funding and popularity. The scientist-agent decisions to focus on a specific research topic take into account factors such as the perceived impact of the topic, availability of funding, current research fashions etc. Despite its simplicity, the model reproduces some of the statistical properties of the real research landscapes and provides suggestions related to the kind of data that should be gathered for further analyses. PS: Please note that lunch and dinner are self-paid!